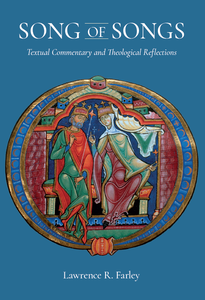 "Song of Songs: Textual Commentary and Theological Reflections"
"Fr Lawrence Farley brings his exegetical skills to bear on the Song of Songs, one of the shortest but richest—and most difficult—books of the Bible. This balanced, verse-by-verse commentary examines the text on two main levels: both as a beautiful image of the love and the bond shared between man and woman in marriage, and as an icon of the “great mystery” toward which human marriage points: “Christ and the Church” (Eph 5.32). We live in swiftly changing times, when the value, the meaning, and the very definition of marriage are the subject of heated debate. Fr Lawrence offers us a vision of the biblical foundation for marriage, which can withstand the floods of life, “built on the foundation of the apostles and prophets, Christ Jesus himself being the cornerstone” (Eph 2.20). FR LAWRENCE FARLEY is the priest at St Herman of Alaska Church in Langley, British Columbia. He is the author of the Orthodox Bible Study Companion Series (Conciliar/Ancient Faith Publishing), Feminism and Tradition: Quiet Reflections on Ordination and Communion (SVS Press), and he writes a regular column for the website of the Orthodox Church in America: No Other Foundation. His podcast, Coffee Cup Commentaries, is available on Ancient Faith Radio."